Imagine a world of deposit FREE renting! A struggle for renters and landlords alike, hefty deposits often leave landlords or tenants out of pocket for months. A thing of the past: Flatfair is on a mission to eliminate tenancy deposits so that letting becomes more affordable and smarter for everyone! We offer a much faster and more secure way to rent properties by integrating today’s most effective government deposit schemes with smart technology. We’re an ambitious team of problem solvers, digital innovators, technology enthusiasts, digital marketers, and finance experts. We’re humble as individuals, but proud as a team. We’re on the way to changing the world for a lot of people, and that’s all the reward we need! As a constantly scaling and learning startup, we give you the opportunity to solve real problems and finding better ways of doing things through diligence, an entrepreneurial mindset and a high quality product with clear goals and direction for the future. Did you ever wonder how AI affects retail and who’s behind automating in-store CCTV cameras? How can technology enable staff to prevent £56bn of thefts, limit stock-outs, eliminate queues and understand customer behaviour? ThirdEye is on a mission to help businesses create more secure, people-centric and efficient public spaces through an impressive intelligent computer vision software that understands every single physical interaction and tracks every inch of a store. Do we need to say more? We’re a team of engineers, tech enthusiasts, e-commerce experts, and retail specialists connected by our shared vision to solve real-world problems in the retail industry through intelligent AI solutions. Needless to say, we’re a bit geeky - but in the most adorable way! We love our daily lunch break walks to local street food markets just as much as a fusball team battle and occasional post-work activities. ihorizon is not your average accounting firm: gathering years of experience and expertise in scaling tech businesses, and weaving them into impressive and intelligent finance solutions, we specialise in accounting and innovative finance solutions for some of the world’s most transformational startups in the tech industry. Our emphasis on unique ways of working with founders and entrepreneurs is only a close second to our emphasis on no-nonsense finance solutions to scale your business. 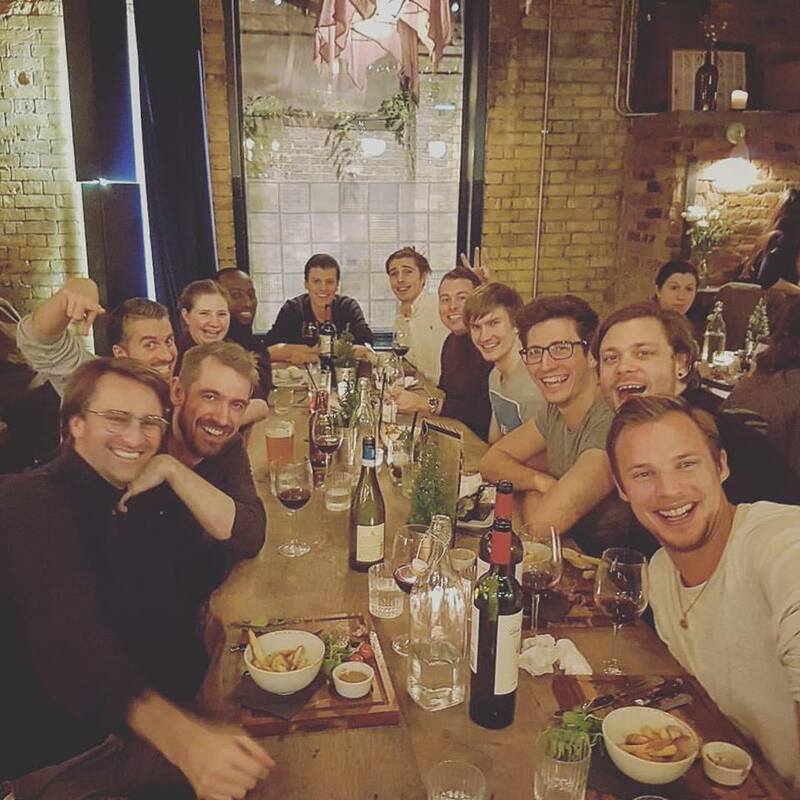 Do you want to work in a team of motivated and talented individuals and partner with some of the world’s fastest growing tech startups such as Songkick, Mixcloud, and Patch? We put partnership at the heart of everything we do, that’s why you will interact with founders, financial directors, CFO’s, and office managers right from the start and help businesses grow from within. Embracing flexibility, adaptability, and curiosity, we provide high-growth opportunities for experienced professionals, executive levels as well as students. 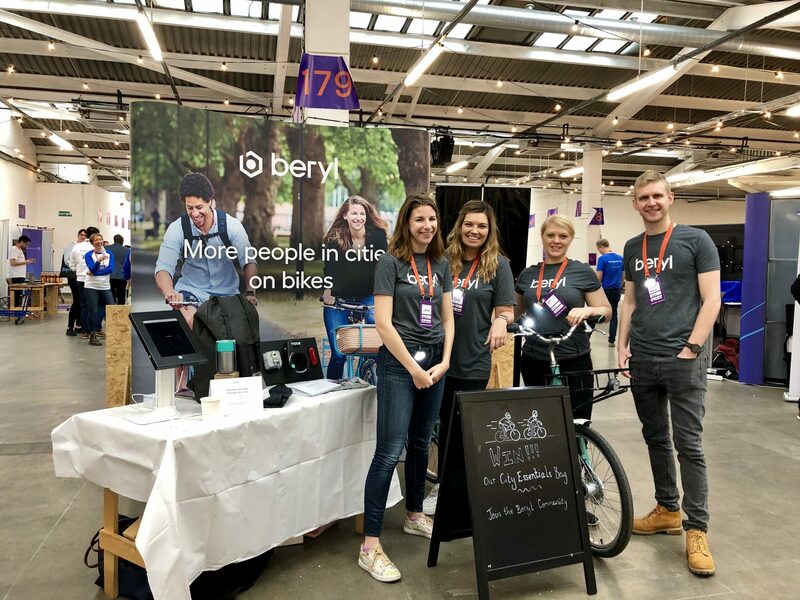 Team Beryl are on a mission to help build a better world by getting more people in cities on bikes. The brains behind the Laserlight (that wonderful bike light that projects a laser image ahead of you), are creating intelligent products for cyclists rooted in design and technology to get more people cycling. Join a business with a huge passion for social impact, technology and sport. Too good to be true? We think so. A creative community of designers, engineers, researchers and cyclists who are creating products that tackle the bumps in the way of urban mobility. The team thrive on collaboration, and the ability to solve real problems with simple, intelligent products. Our mission is to connect groups of people face-to-face through unique and undiscovered spaces they had never imagined findable. We want everyone to have the chance of delivering a successful event in more inspiring, more affordable spaces no one knew existed, spaces that drive productivity, creativity and better outputs. VenueScanner is an energetic, fast moving, and fun place to work. This culture has been influenced by all who work here, and has developed through our ambition to scale this business up together. 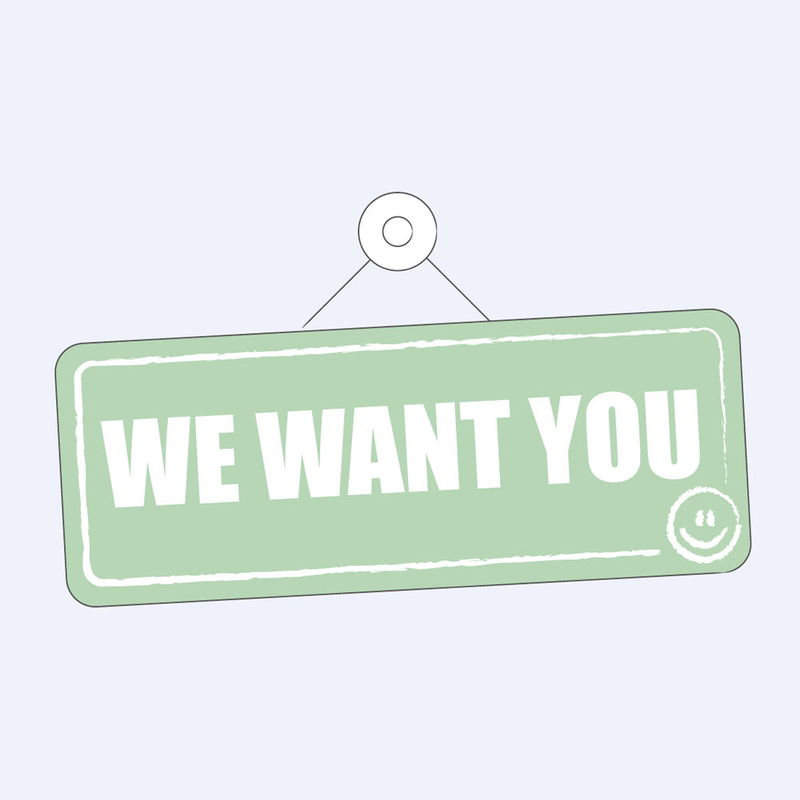 As a growing company, we’re always on the lookout for talent to join our team. We all have a huge passion for events and unique spaces, and we thrive on human-to-human connection. We know how impactful your surroundings can be, that’s why we want everyone to be able to perform at their best, in the office, in one of our unique spaces or anywhere else in the world. FinTech startup, Chip, are breaking records. Their latest funding campaign with Crowdcube was the UK’s largest ever crowdfund raising £4m. If that doesn’t excite you enough, download their app - you’ll be sold into a career with these guys. A culture of genuine care seeps out of chip's pores. 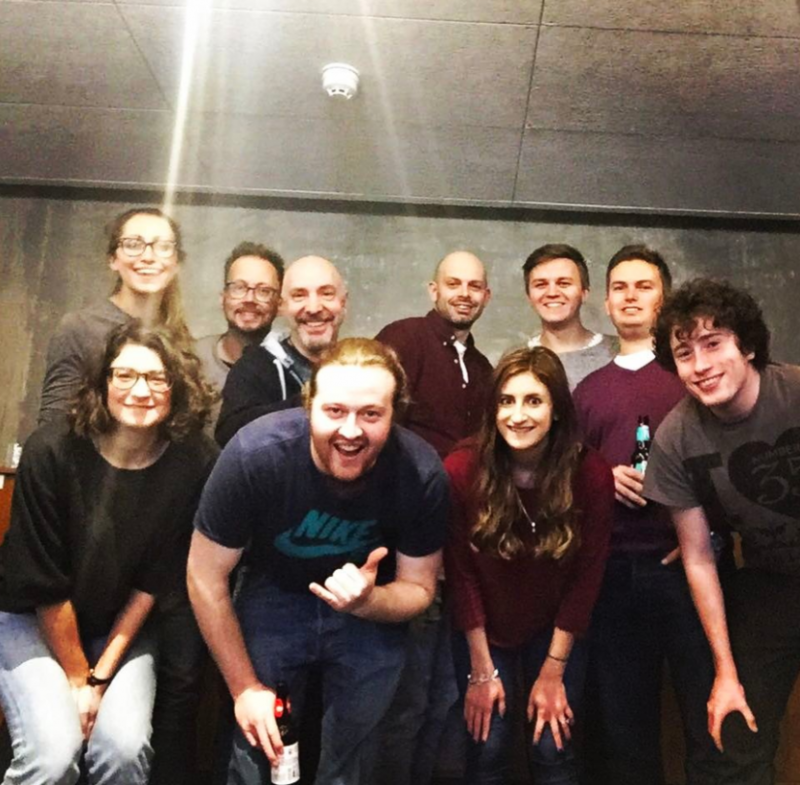 A challenger bank, with a challenger mindset - this team are an intelligent bunch of doers who are dedicated to their mission to create the best savings account in the world. Collaborative, open-minded with some serious 'all in it together' vibes. 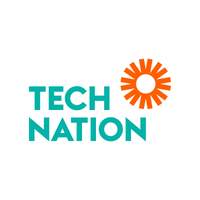 Tech Nation (formerly Tech City), are the UK Network for ambitious tech entrepreneurs. 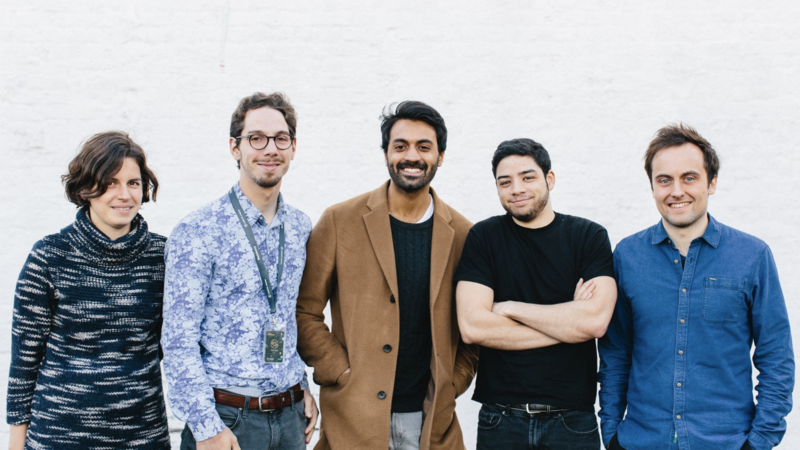 They're on a mission to empower ambitious tech entrepreneurs to grow faster through knowledge and connections. 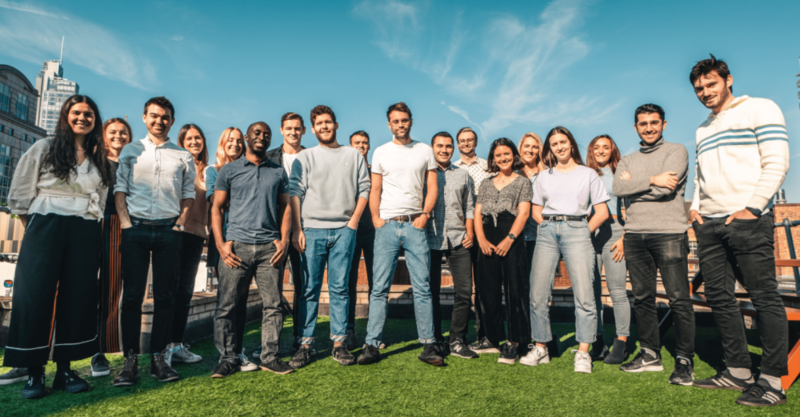 Their high growth programmes, such as Founders’ Network, Future Fifty, and Fintech have been designed to empower tech founders to grow faster and to connect to a UK wide community that shares the same entrepreneurial culture. 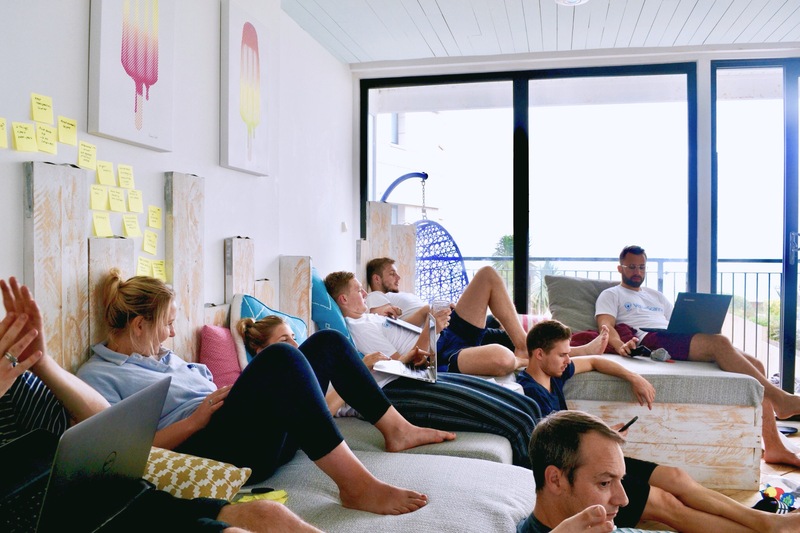 Their autonomous and flexible working culture is a breeding ground for entrepreneurs, serial networkers and future leaders. 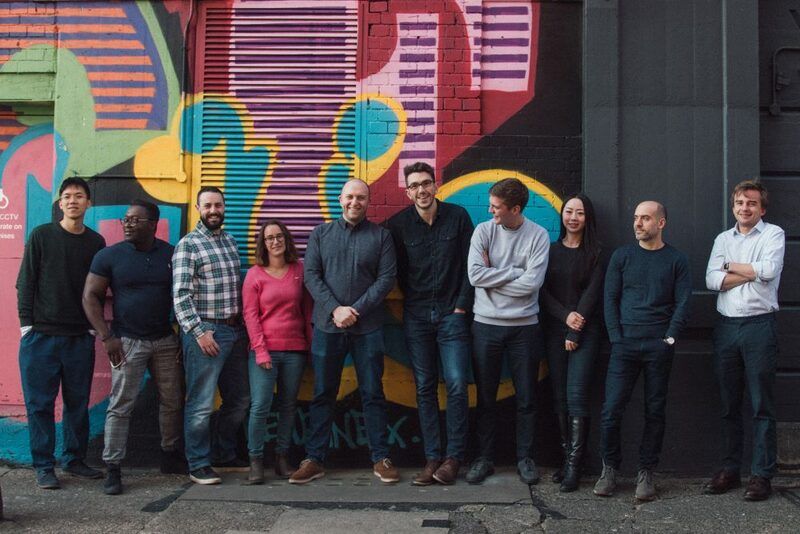 You'll be joining a small yet nimble team who are uber passionate about supporting the growth of digital businesses across the UK. 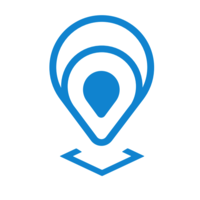 Our vision is to become the #1 event marketplace in the world. How? By allowing everybody and anybody to book the most exciting food trucks and drink traders for small and big events! Championing over 300 caterers including Patty & Bun, The Breakfast Club, Grind, Hola Guacamole and The Prosecco Van, we provide hassle-free, customisable event catering; providing a ‘better’ way to entertain for any event, from 20 person dinner parties to 40,000 people festivals. We’re an ambitious team of digital innovators, e-commerce experts, and tech enthusiasts solving a problem for the event industry through diligence, an entrepreneurial mindset and passion with clear goals and direction for the future. 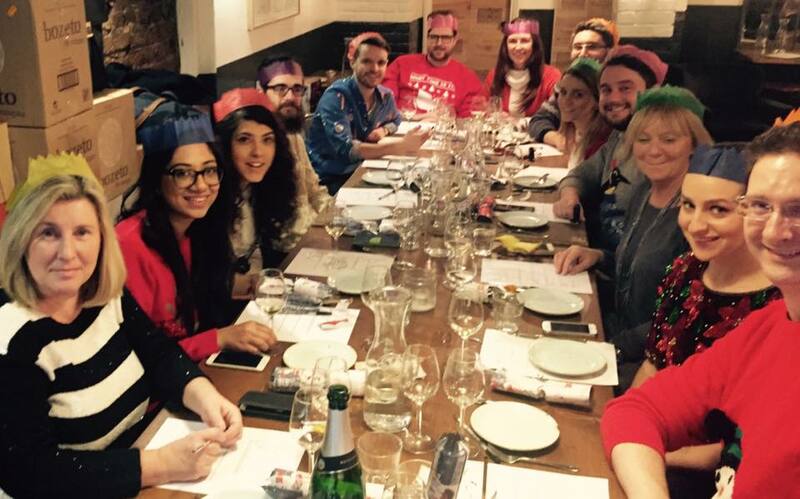 You won’t find office politics or excuses here, we work hard, love what we do and have fun together. As one of the fastest growing food tech businesses in the UK, we give you the opportunity to achieve more than you thought you could, and we want you to grow with us as fast as we do! MATTA creates intuitive, inspirational marketing campaigns across the health and sporting worlds. With expert knowledge of how consumers think and understand brands, they are able to conceive adverts that truly speak to the audience. They are a creative bunch who pride themselves on their work hard play hard ethos, whilst working closely with some of the most well-known clients in the sporting world. Most importantly, they #makeitmatta and have a great time whilst doing it. If you love creativity, sport and health MATTA is an incredible place to work. Partnering up with the likes of FA, England Hockey etc. means that there are some pretty awesome sporting events to sweeten the deal, with the opportunity to also support causes that truly #matta such as Movember. Whether you’re hashing out amazing concepts or heading down to the local for a few cold ones on a Friday afternoon, the tight-knit team will make everyone feel at home. 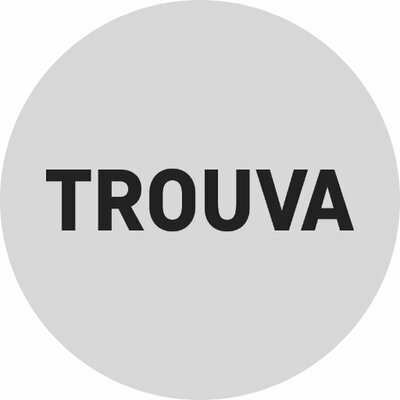 Voted as Marketing Week’s "100 Disruptive Brands for 2017", Trouva is the world’s leading marketplace for independent boutiques and Europe’s top e-commerce startup. United by their passion for unique products, Trouva brings together a thriving global community of independent shops and shoppers. Growing rapidly, they now have offices in London and Lisbon, and a proud community of over 400 boutiques from Europe’s most creative corners. The team at Trouva is on a mission to change the world of retail by providing an online platform where independent shops can sell their products and promote their brand. With a huge passion for independent retail, they work hard and inspire the best in each other. 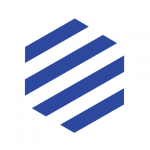 Trouva is truly a tribe to grow in - widely recognised for their logistics and product innovation, they’re building a global company and are looking for individuals with big ambitions! HelloFresh is on a mission is to make cooking at home both fun and accessible to all. With weekly delivered boxes, customers can follow simple instructions to cook healthy, wholesome meals. It is their place and their people that sets them apart. The Farm truly is an exciting place to work everyday, as are the wonderful people who work on it. Dedicated employees are their bread and butter (excuse the pun), each enriching the lives of others through cooking. If you’re passionate about food, cooking and the HelloFresh brand this is the place for you. Despite growing rapidly over the past five years, they maintain a happy, welcoming work force who make the HelloFresh Farm feel like home. 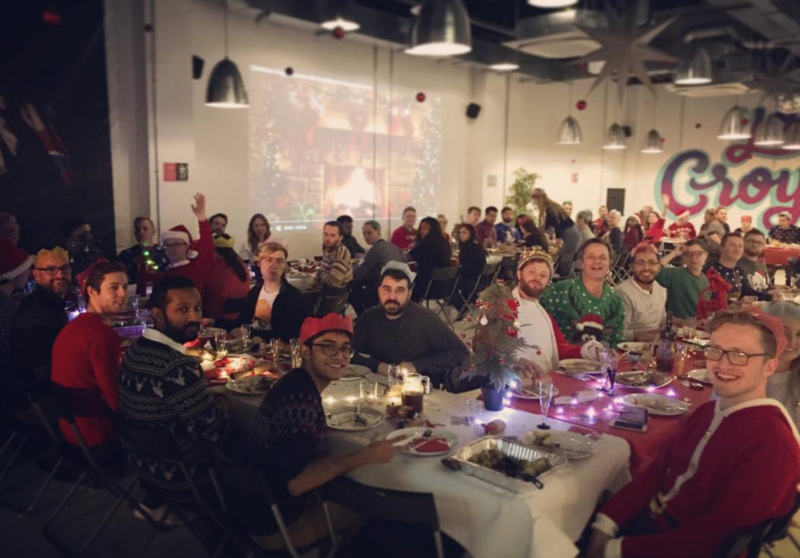 The perks included certainly help with this; with spectacular offices (and their very own pizza oven), they provide cooking classes for all employees, regular socials in and outside of work, and a massive 70% off their products. Coined as “The company most likely to revolutionise the media industry" by Starcom, Tailify is pioneering in making content creation accessible to everyone by providing an end-to-end influencer marketing platform. 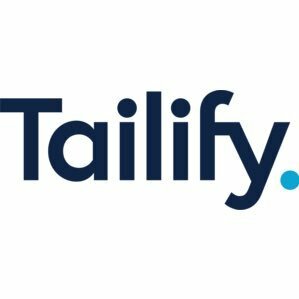 Tailify empowers agencies and advertisers to connect and work directly with Instagram content creators to create beautiful, high-impact advertising campaigns on social media. Headquartered in London with offices in New York, Sofia, and Stockholm, they are proud to work with top tier media agencies and global brands such as Coca Cola, Disney, Unilever and Marc Jacobs. The Tailify team instils security, professionalism and trust into the world of content marketing. They are on a mission to revolutionise the media industry by connecting content creators and brands through meaningful experiences. 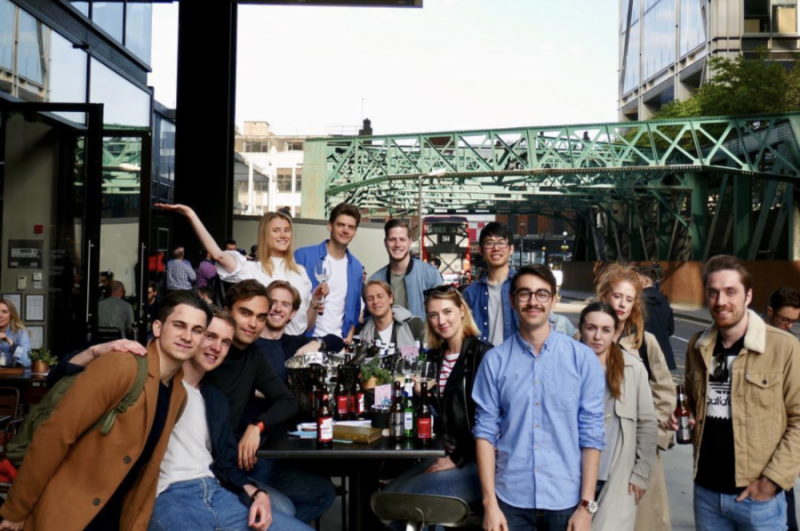 Fun at work comes with the territory, and their London office provides a space full of creativity and positivity, especially when spending time on their newly designed rooftop. 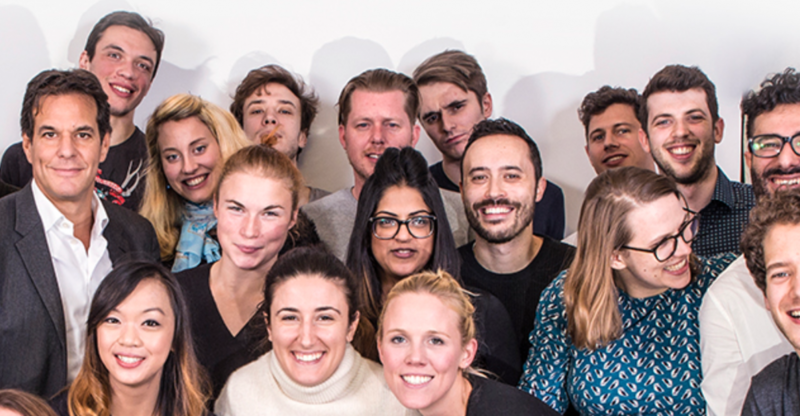 Be part of a team that helps the world’s largest brands, media agencies and creators to tell their stories! 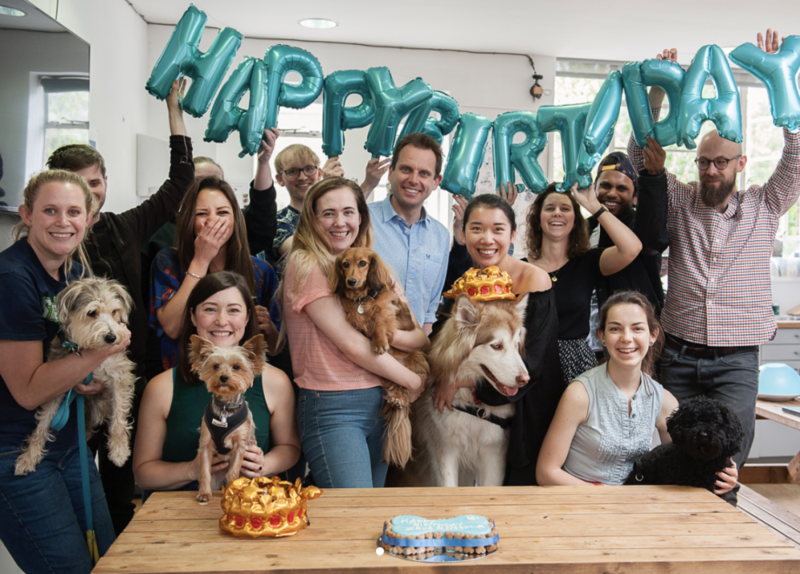 United by a love of dogs and a belief that technology can help make things better, Tails.com are a diverse team with a successful track record of making things happen in companies like innocent drinks, graze.com and Nestle. From animal nutritionists and vets who have over 20 years of experience in dog nutrition, to software engineers from Amazon and Arts Alliance Media, they are committed to making a product that can help change lives for the better. And so far, according to their customers, its working. 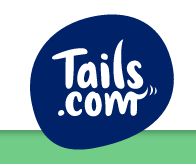 Joining the Tails.com team means that as well as growing your own capabilities, you'll have the chance to make a visible and positive impact for both customers and the business. We’d love to hear from smart, ambitious people who also make things happen, who truly care about changing the lives of dogs and their owners for the better, and who want to be part of something amazing. The Bakery are rapidly driving forward their mission to make a more entrepreneurial place. They're making innovation happen by bringing together the world's biggest corporates with the best entrepreneurs and startups. They have huge plans to create a truly transformational business and an agency of the future. Their successes to date are just the beginning of their promising journey ahead! At The Bakery your possibilities are endless. They are on the verge of truly transforming their industry and have hugely exciting plans ahead. They believe in giving every idea a good chance and this motto is followed in every area of the business. They're looking for proactive, open and agile self-starters to put their touch on their transformation. If you're looking for a place where your ideas are valued and you're amongst incredibly intelligent people, then this is the place for you! Inspired by world-renowned tennis player and sports enthusiast, Rene Lacoste. Lacoste has tapped into the market to provide their customers with garments that breakthrough traditional styles and have revolutionised the sportswear market. Each of their designs reflects the brand's DNA; classic, understated quality and luxury with a sophisticated blend of sports and fashion. Their venture into footwear is the next step in their groundbreaking journey of changing the world of sportswear fashion. As they propel into a new venture for the business, they're looking for driven, like-minded, self-starters with a real passion for supporting them revolutionise the sportswear world. 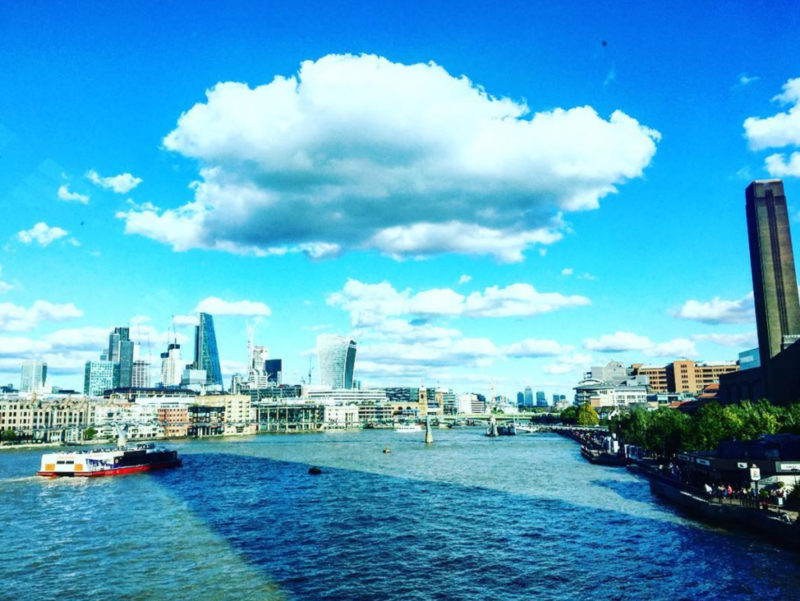 If you enjoy working in some of the trendiest offices in London, with heaps of benefits and of course within a luxury, fashion-forward environment, then this is the place for you! 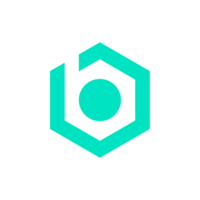 Hex are the superheroes of visual communication masquerading as a digital marketing agency. They provide integrated digital marketing solutions for an impressive range of brands such as Michael Kors, Bill’s Restaurants, and even us at Create + Adapt. Known for their beautifully crafted and meticulously user-friendly digital solutions, the dynamic nature of the team is seen in both work and culture. 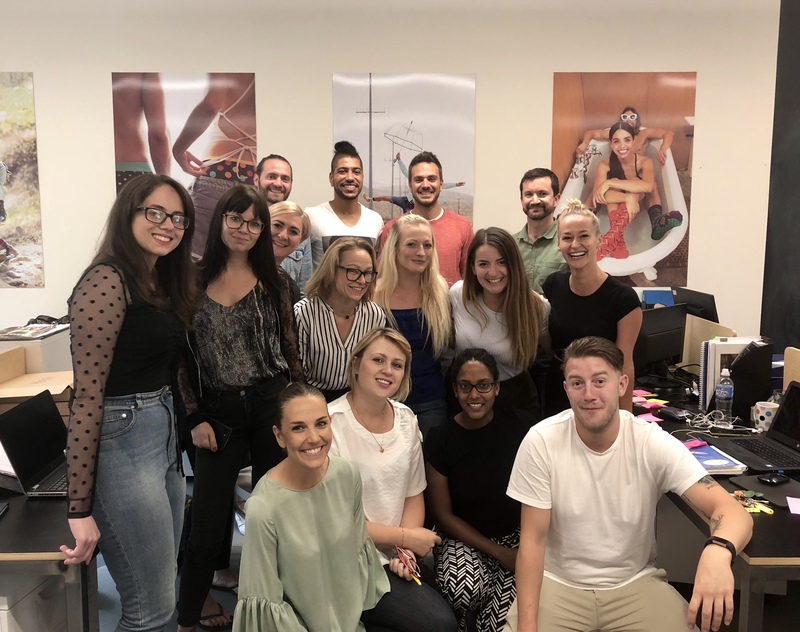 From experience we can tell you what a pleasure the Hex team are to work with and that they excel at creating lasting connections between audiences and brands. 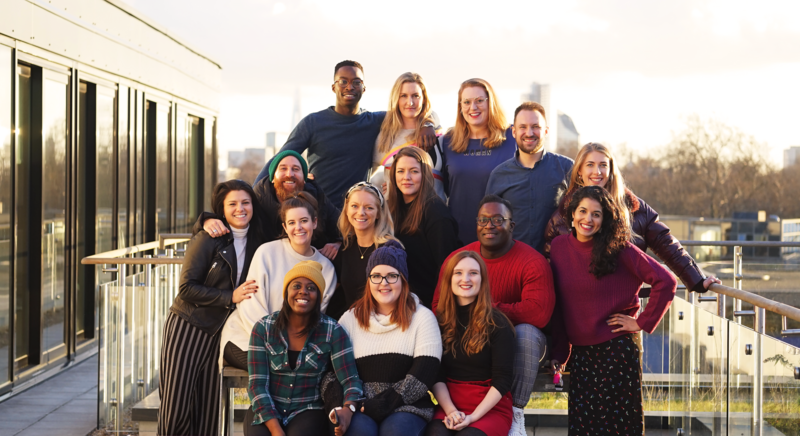 This fast-paced brand is based near to Broadway Market in London, and offer fantastic perks such as glorious away days, super fun socials, and flexible working hours. Click that button and apply now. FD Works are your best friend in finance. A team of highly experienced management accountants who collaborate with entrepreneurs and small businesses to sort their finances. Their collective mission is to help demystify finance, ensuring that their clients know how to best work their finances to their advantage. 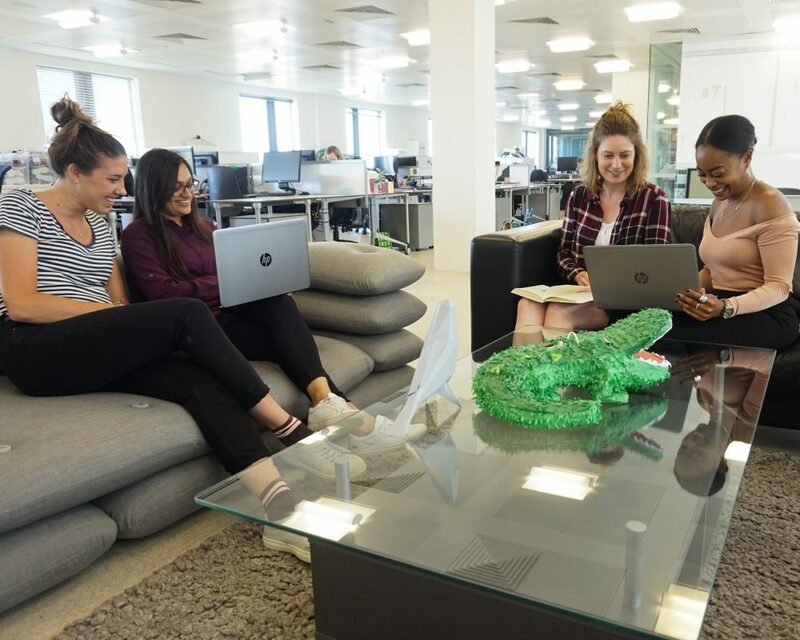 Their nurturing culture embraces learning and self-development, helping employees to closely develop in areas they are interested in with the help of senior employees. Working at FD Works is a breath of fresh air, with awesome clients, great flexibility and new challenges every day. The right candidate could quickly see themselves rise through the FD Works ranks and learn about all aspects of finance whilst basking in their picturesque countryside surroundings. The team has frequently been spotted at the pool table engaging in a little friendly Friday night challenge, so sharpen up your pool cue before applying for a job with FD Works. On a mission to redefine the meaning of retail therapy, Portuguese entrepreneur José Neves started up Farfetch in 2008, a truly global omni channel platform for luxury fashion. 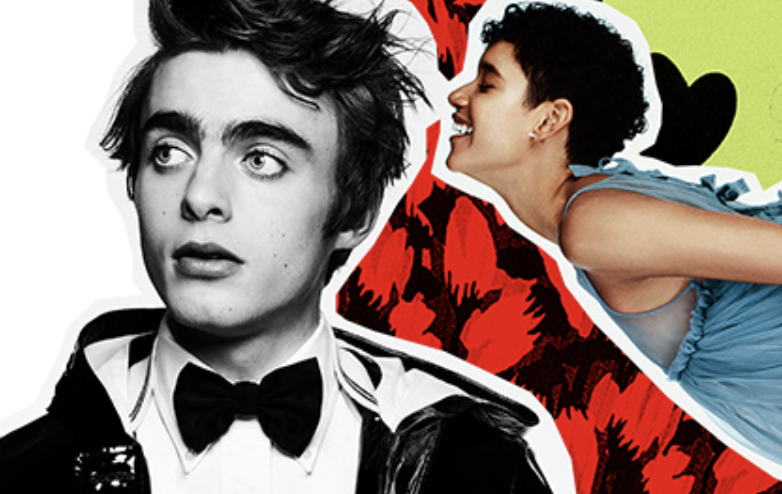 Farfetch brings the finest forward thinkers of the fashion world directly to you – from Tokyo to Toronto, Milan to Miami. The team at Farfetch made it their mission to be a unique destination for an unparalleled range of luxury fashion from established brands to the most interesting new designers and one-of-a-kind styles that you simply won’t find anywhere else. 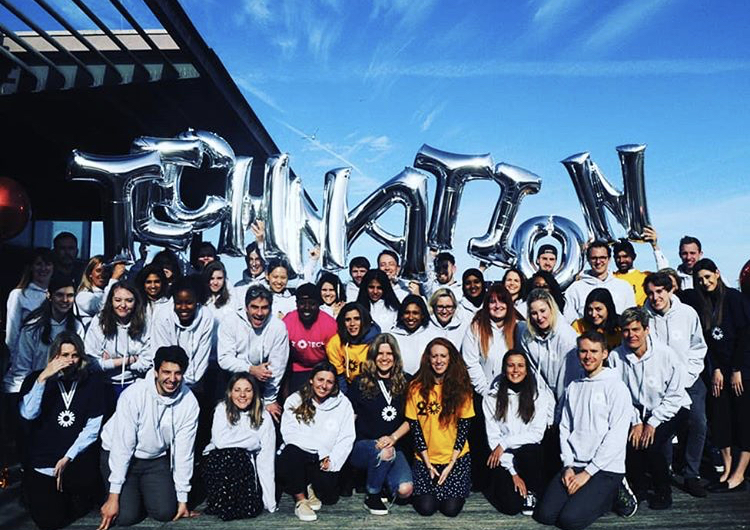 Working at Farfetch means joining a passionate, talented and diverse global community inspired by the unique and complex challenge of revolutionising the future of fashion. As a one-of-a-kind fashion technology company, they are creating a new reference for talent: celebrating individualism, innovating every day, and developing faster than anyone can keep up with. Kobalt are the future of music. As the leading independent music services company, they offer an alternative to the traditional music business model, empowering artists, songwriters, publishers and labels with advanced technology, transparency, flexibility, ownership and control. Kobalt’s innovative technology solutions are designed to maximize efficiency and accuracy across the billions of micro-payments collected in today’s highly complex digital world. They're on a mission to improve the future of music by combining music services and technology like no other company. The Kobalt team feature some of the most talented, creative and committed people in the business. Their values are embedded in their work daily to drive the success of their clients and build the future of the music industry. Be part of a team that values creativity, initiative, and above all, a passion for music and helping the people that make it. Founded by two friends who used to work in the energy industry, they saw a recurring problem with all the big providers. Insufficiency, poor service, bad tariffs and no transparency. 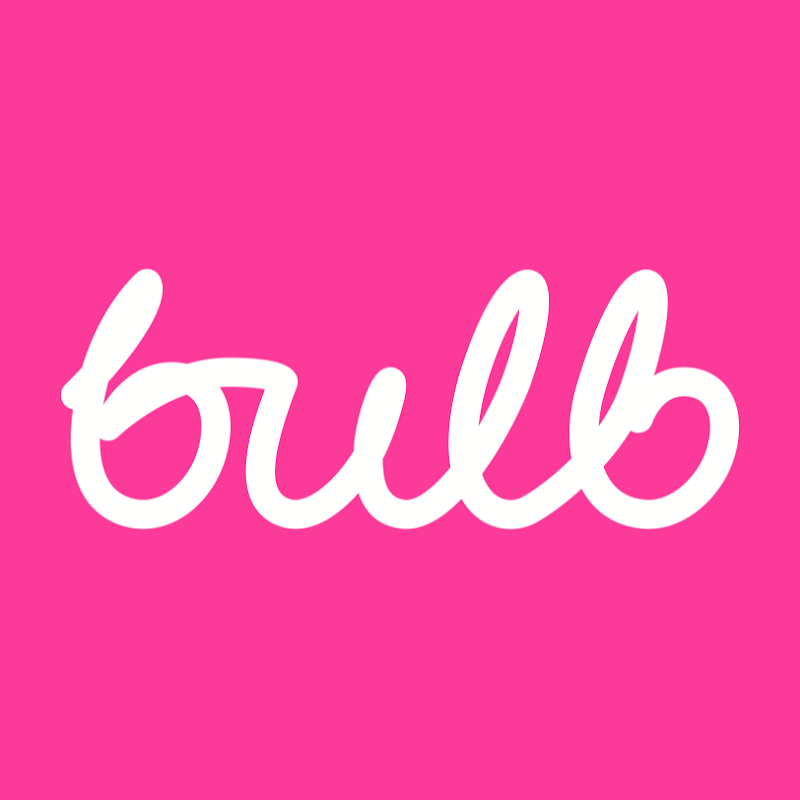 So they took the plunge to start something new and Bulb began! Their aim is to be a fair and open energy company with an engaged and supportive community that takes centre stage. So they're making energy simpler, greener and cheaper for their customers! Life at Bulb is always exciting. They’re a young team that is given the chance to help shape the way they work and get the added bonus of using some of the latest tools and technologies too. They’re relaxed, supportive and a strong believer in collaborative work. 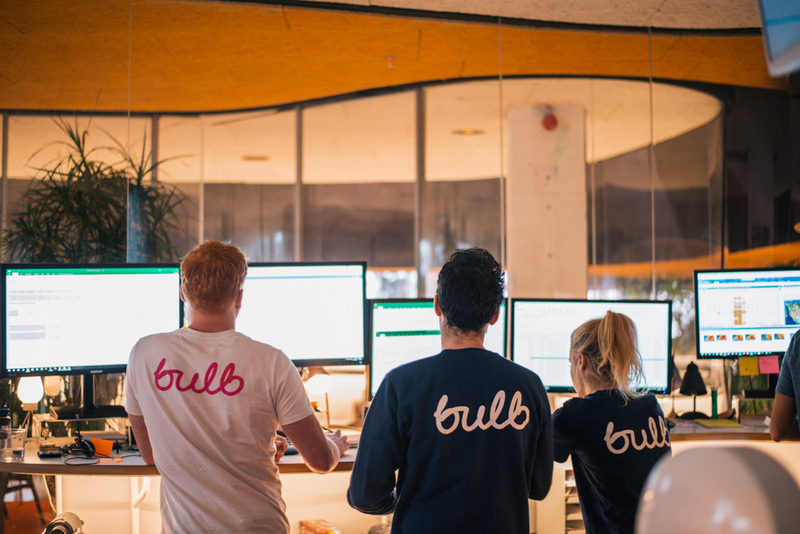 At Bulb, you’ll get first-hand experience of fundraising, rapid product development and all the best bits of agile working. So no day will ever be the same in the thrilling world of Bulb! Thrive Map are a game-changing startup looking to disrupt the talent assessment market and challenge the status quo. Committed to building an amazing place to work for all their “Mappers” they’re democratising access to people analytics, to make hiring for culture fit informed, easy and consistent. Since their launch in 2016 they are propelling forward into new innovations within the industry and currently being used by multi-national companies including HSBC, AOL, Berlin International and Google DeepMind to name a few! Rapidly growing and achieving huge successes along the way, they’re a force to be reckoned with. And with shiny new offices kitted out with table tennis, cold beers on tap and an open forum for ideas, suggestions and everything in between, you’ll be well looked after. They’re looking for stellar employees to join their mission and help mould the talent assessment market for good. Colart is the global market leader for fine-art materials, playing a pivotal role in the creative industry for centuries. Committed to creating the best tools for the creative community, their vast brand portfolio includes the legendary Winsor & Newton, Liquitex, Lefranc Bourgeois, Reeves, Snazaroo, and Conte à Paris. Join them on their mission to inspire every artist in the world. Colart are continuing to strive for excellence, pushing the market forward through their culture of innovation, openness and passion. They are looking for bright and enthusiastic minds to support them through an exciting period of international growth and development. All employees are offered the space to be creative no matter when, how or where they wish to express it. Pioneers in business creation, their aim is to continue building the next generation of breakout technology businesses. 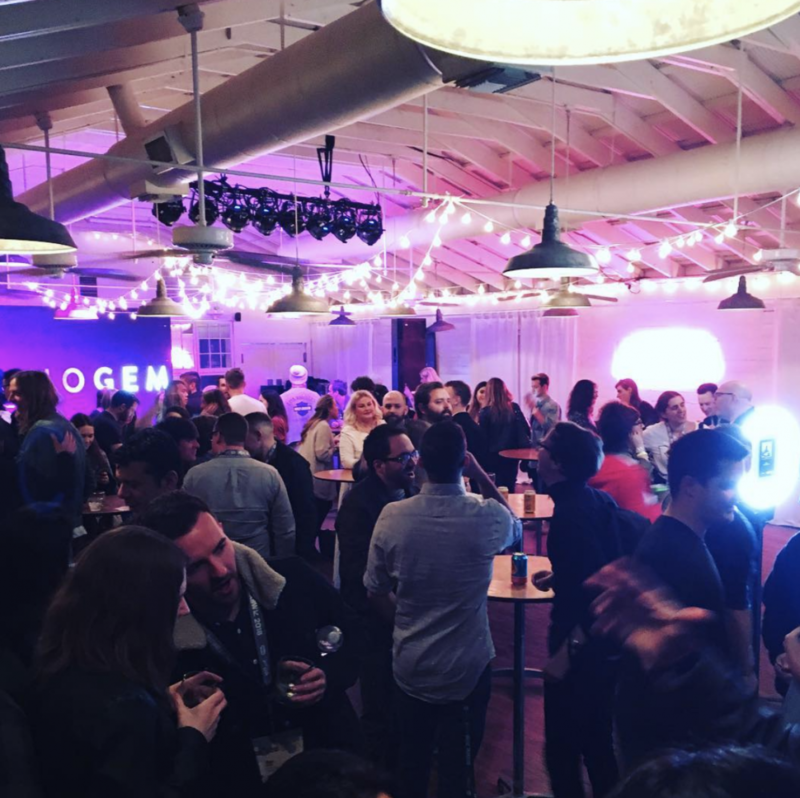 With an outstanding network of top entrepreneurs, business leaders and inventors they're finding real gems in the business and turning their promising concepts into fully fledged founding teams. They're on a mission to start and grow 200 businesses over the next 5 years and they're looking for talented sparks to join them along the way. They're a highly motivated bunch, who'll push you to your full potential. Working at Founders Factory, you'll have a real opportunity to make your mark on their remarkable journey, joining a team of world-class thinkers and creators as they make a revolutionary impact on the industry. 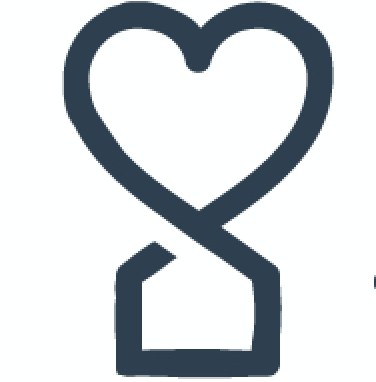 SuperCarers is a revolutionary online care company changing the way the world experiences care. Listed in Brummell's 30 Ones To Watch 2017, SuperCarers help families find great carers and enable their older loves ones to stay living at home for as long as possible. Using technology to match families with the perfect carer and manage all of the difficult stuff that comes along with it. A trusting yet fast-growing start-up with big ambitions. SuperCarers has been built on genuine compassion. 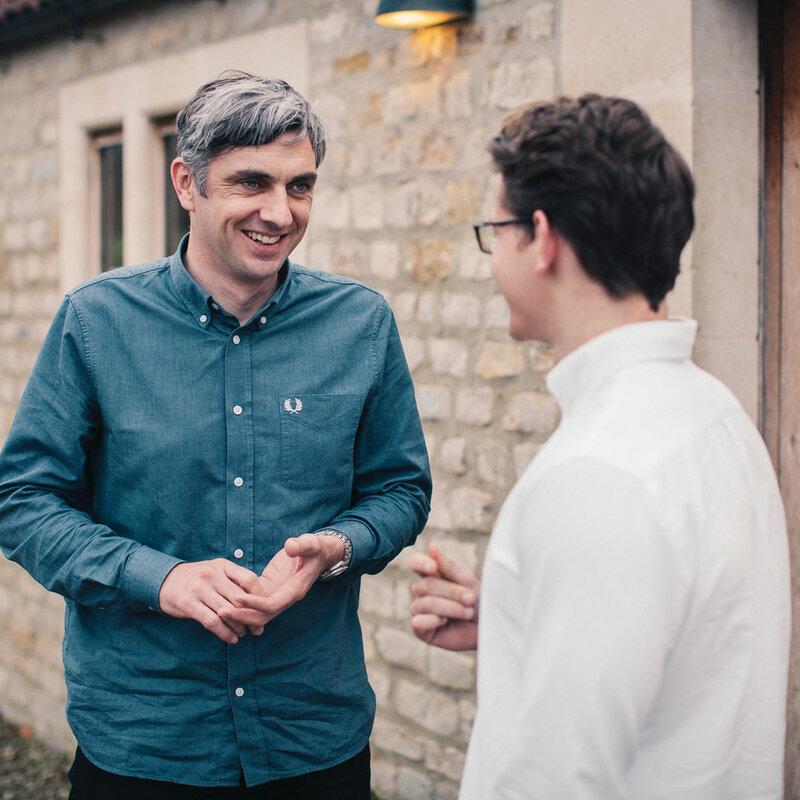 The personal experiences of the founders, Adam and Daniel Pike, are the foundation of the brand's ethos. As we know, fair pay is a concern for carers in the UK, but all SuperCarers earn more than the living wage. Kindness and passion for great care is inherent in all members of the team - be a part of a business that is doing good all round. Tech start-up, InstaSupply, are specialists in helping business to grow. Instasupply uses B2B technology to manage supply chains, reduce processing costs, and unit costs for finance and procurement departments. These guys offer real time transparency on spending activity, and make informed decisions on growth, supplier management and profit maximising opportunities. With big growth plans and aims to bring Blockchain and AI into the mix, it's an exciting time to be a part of InstaSupply. Based out of London and San Fran, these guys live the true tech lifestyle. A great opportunity to gain rapid growth in your career and to hit the ground running from day one. Every employee is valued and part of the decision making process at InstaSupply - apply now to be a part of the future. Revium Group are a community of multi-award winning companies with a shared dream to create unique consumer experiences that excite, engage and empower people. They're all over smart experiential retail marketing, rich consumer data and insights, and beautiful software design & development. Join them on their journey to build a global community that creates amazing experiences and inspires through technology. Awarded a ‘Times 100 Best Small Company to Work For’, Revium Group believe that every day can be inspiring and memorable. It is clear that people are at the heart of what they do. 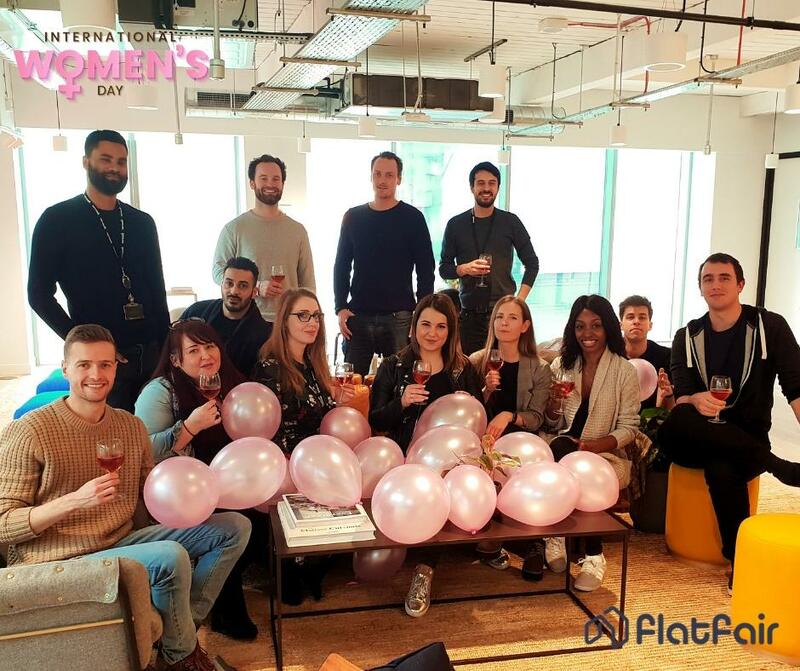 The team invest their time in world-class personal development and engagement as well as creating amazing experiences for both consumers and employees. Pobble aims to give teachers a platform to find the best literary resources they can to help their pupils learn, and to give those pupils a way to share their writing globally and assess their writing at all levels. Tens of thousands of primary school teachers around the world use Pobble to inspire children to put pen to paper. A true team in both work and play, together they strive to make writing exciting. 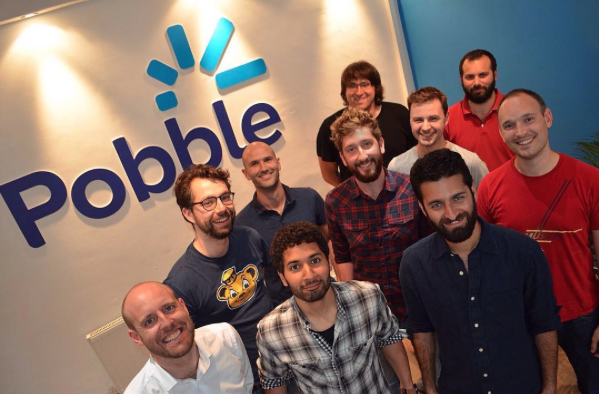 The Pobble team are a big cohesive family. All aspects of the workforce come together as one to create and celebrate something great, whilst providing an outstanding service. 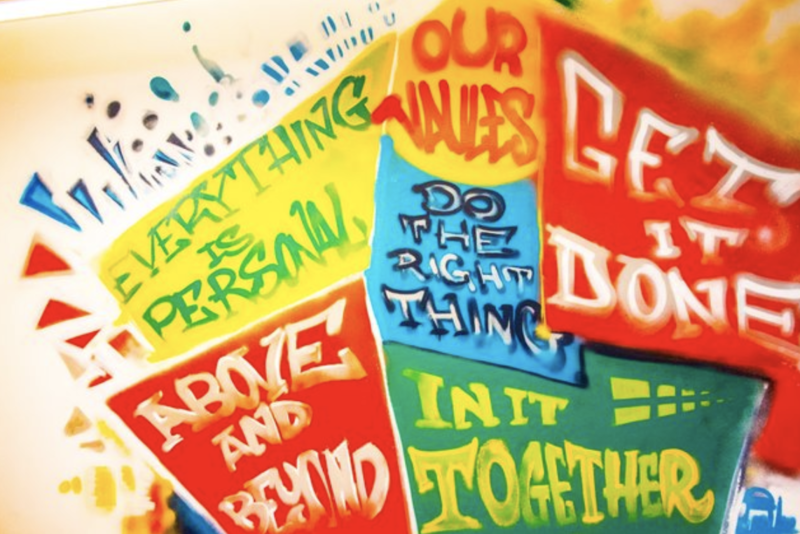 Values, culture and people are at the heart of Pobble. They believe in working hard and playing hard, often causing havoc in the Pobble kitchen with their big company cook-offs. A long days’ slog is rewarded with a few cheeky beers altogether. Oh and the pizza. They eat a lot of pizza. 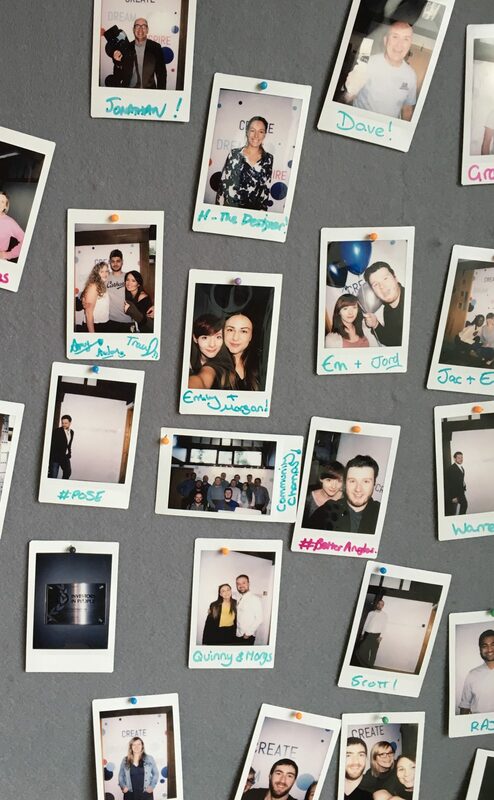 Create + Adapt is revolutionising how brands attract talent and share their employer story. 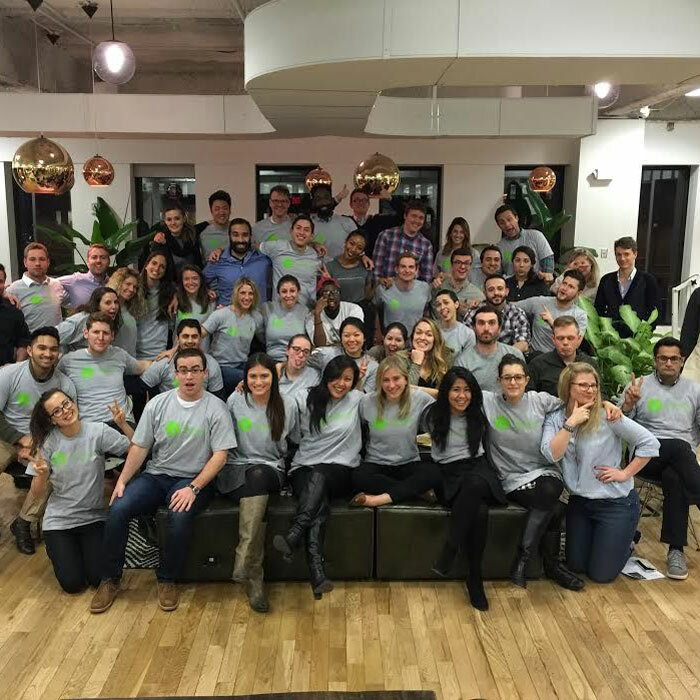 We’re a subscription-based hiring and employer branding agency and we help our customers grow a loyal talent community. We work with honesty and integrity. We’re the hiring partners behind some of the fastest growing brands in Europe, such as Hello Fresh, Dyson, tails.com and more. Our mission is to change the world of hiring! We’re a small family at C+A. We may work remotely and offer complete flexibility but we’re always in each other’s faces. 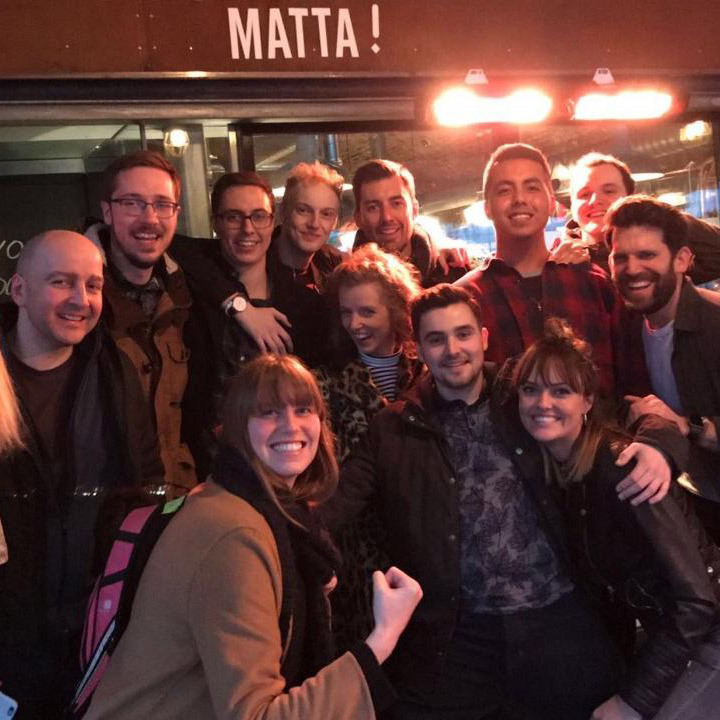 Each member of our team has bags of personality so there will be plenty of laughs and boozy team lunches. We care a lot about communication so all ideas are welcome and appreciated, no matter how eccentric they might be. Join us for the opportunity to shape your role and grow as fast as we do. 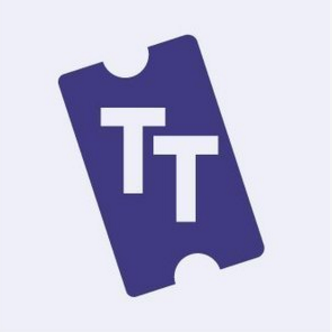 Ticket Tailor are an award winning ticketing platform on a mission to make ticketing easy and convenient. Identifying gaps in their market, they’ve developed niche ticketing products such as a ticket sales app for Shopify, an e-ticketing API for developers and they strive to offer incredible customer support along the way. With over 2,500 happy paying customers and big ambitions looking to level-up, they are revolutionising the ticketing industry. Join them on their journey towards an industry leading transformation. As a part of the Ticket Tailor family your ideas are heard and valued with ample opportunities to collaborate, learn and grow with the company as a team. 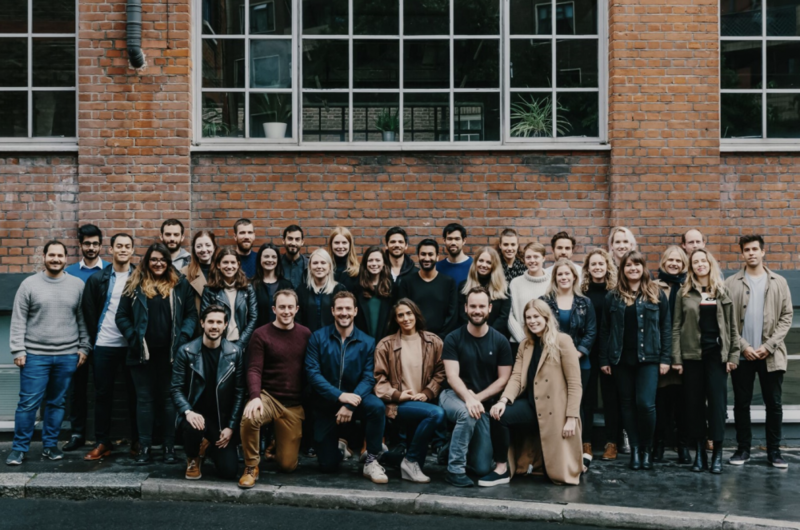 Based in Hackney with beautifully relaxing work spaces and a fluffy dog named Alfie to keep you company, Ticket Tailor are looking for partners in crime to pioneer new strategies and join them on their mission towards groundbreaking success. Spreading happiness by turning an everyday essential into a colourful design piece with a rigid standard of ultimate quality, craftsmanship and creativity is what makes Happy Socks so unique. Created by a collective of visionaries, Happy Socks are sold in more than 90 countries and on every continent. Happy Socks features an almost endless variety of models and designs, using a broad spectrum of colour combinations and original patterns. With offices in Stockholm and London, they spread the fun not only on socks but throughout their whole community! Happy Socks’ mission is to spread happiness and colour around the world. A fun, positive approach combined with the passion they have for their products is what makes them so successful. They’re a multicultural team made up of people from 25 different countries, each brimming with enthusiasm. At Happy Socks, you will be part of a community with one clear vision: helping each other and their consumers on their daily quest for happiness. Dyson is a global, ambitious and unique innovator. They are changing the face of every arena they enter; from iconic vacuum cleaners to ground-breaking hairdryers, they don’t do anything by halves. Growing at a huge rate with no plans to slow down, this globally-recognised brand and brilliant team are what sets them apart in the industry. Those that are willing to put the time and dedication into their work will progress further than they can imagine. 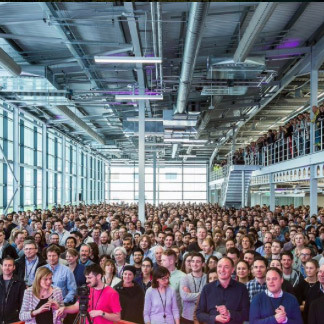 Dyson’s widely recognised name is attractive to some, but their culture is what truly appeals to those that work here. If you enjoy being challenged daily, being given the autonomy to work hard under your own direction, and involvement in an inclusive office culture, Dyson might be the place for you. With 27 days holiday, annual bonuses, discounted products, a free gym, and a HQ beautifully placed in the Wiltshire countryside, what more can you ask for.